By Singyin Lee in Gadgets. Updated on November 11, 2017 . What did you do for Mother’s Day? Did you play the doting daughter or the sweet son? Did you take her out for a wonderful meal, gave her flowers and those sparkly earrings she has been eyeing? Well Father’s Day is coming up soon and even though men are the less sentimental of the two sexes, it doesn’t mean that the day should be celebrated gift-free. For many fathers, they are the people behind the scenes, the pillar of strength for the family, and the one you go to when there is something to fix in the house. They’re there on your first day of kindie, elementary school, high school then college; they’re there for your first crush, your first heartbreak, and your first kid. Fact is, for most fathers, the best thing in their life is probably you. So while other sites celebrate dads in general, in today’s post we are celebrating the geek dad, the kind of dad who introduces you to technology, the moment you start walking. No matter which type of geek your dad is, we have gift ideas that would mark this Father’s day as his best one yet. It’s portable, it’s mini, it amplifies, and it boasts high-performance sound that would do great for geek dads who like music or gaming. Available in metallic red, white, silver and black, this three-inch deal can pack a punch in spite of its size. 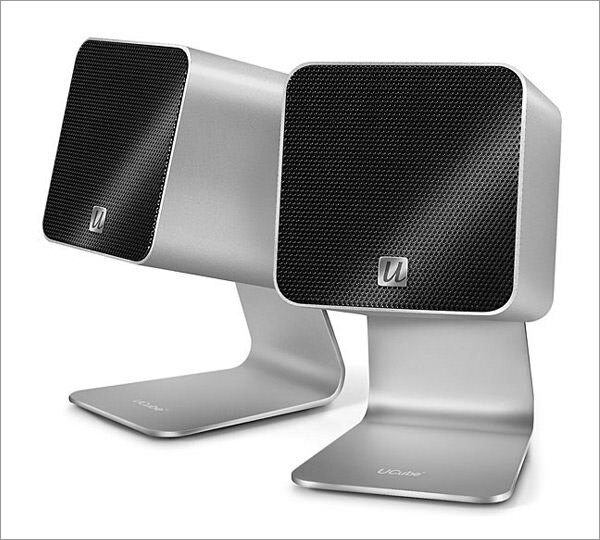 Attach this cable-free gadget to your machine and it stays powered to give you the best sound vibrations at 15 watts. 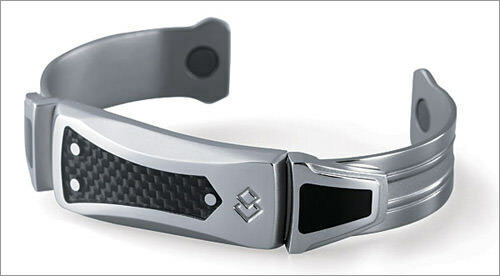 Fans of Iron Man (or Robert Downey Jr) would totally freak out over this titanium-built, stainless steel, and carbon-fibred limited edition power band. To refresh your memory, you get a dose of what this baby can do (in the movie) in the scene where Tony Stark gets to spite Loki before the climatic scenes of The Avengers. Special effects not included. Doting dads who snap on the move would love this. 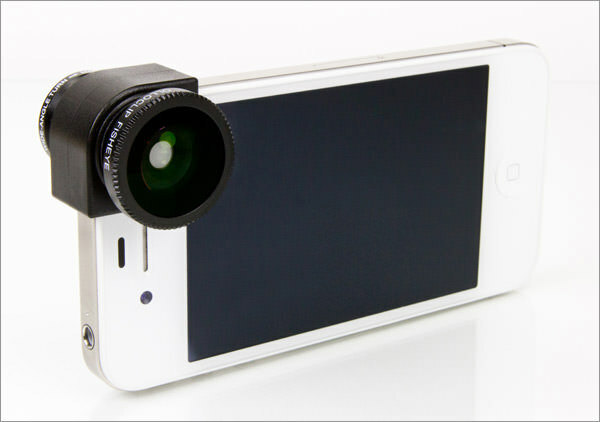 Slip the Olloclip 3-in-1 iPhone lens clip on an iPhone 4/4S for quick access to three types of lenses: Fisheye, Wide Angle, Macro while on the go. All three lenses are made from high-quality glass so the photos you’re snapping won’t look like it came from a camera phone. They also come with lens caps and a small bag, for a secure stowaway. 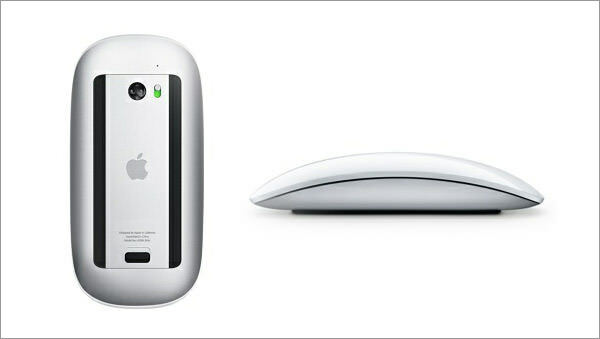 If your dad is a fan of swiping gestures and shortkeys he will love this Magic Mouse. It’s essentially a touchpad in the shape of a mouse. There’s only one button on it, which is fine since it works on swipes — scroll and swipe on the surface of the mouse like you would on other Mac devices for a seamless surfing experience. 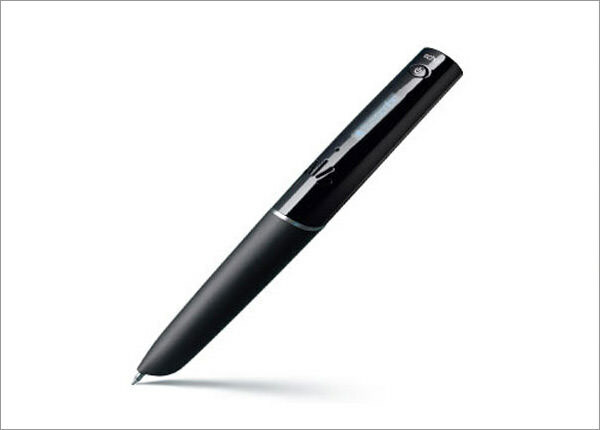 It’s the Smartpen by Livescribe, the pen that allows you to record up to 800 hours (or 8 GB worth) of recordings, complete with playback options. There is also an audio jack for playback via earphones and what’s more, you can also transfer your recordings to your computer with a cable connection. For fathers who can never get enough of pictures of their kids, this little gadget is a godsend. Just dock the iPhone containing the pictures taken into the Photo Cube Printer and you will get 4" by 6" prints within a minute. While printing, the iPhone also gets charged. This little photomaker works will all generations of iPhones and can also work on Android smartphones via USB. 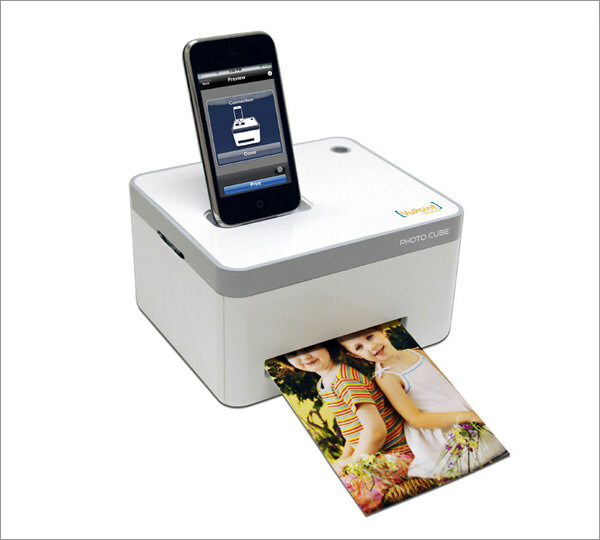 Print your pictures wherever you go! Have an outdoorsy father who can’t stay inside for long during the weekends? Go hiking with him with a little help from this GPS Kit for the iPhone, from Garafa. It features high-quality mapping which when cached, does not need a data connection to work. Apart from weather forecast options (US only), by getting "Squawk!" you have the added options to track friends in real-time, share locations with them or even chat with them while gaming, hunting, trekking or fishing. 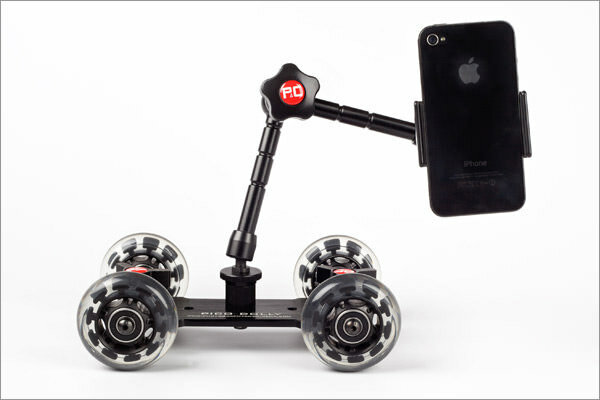 For a smooth video-taking session, consider getting the camera table dolly. What you do is attach your camera to the pod and move the wheeled contraption around to get a smooth finish to your videos or your panoramas. Warning: filming with a tripod will forever more feel restrictive. 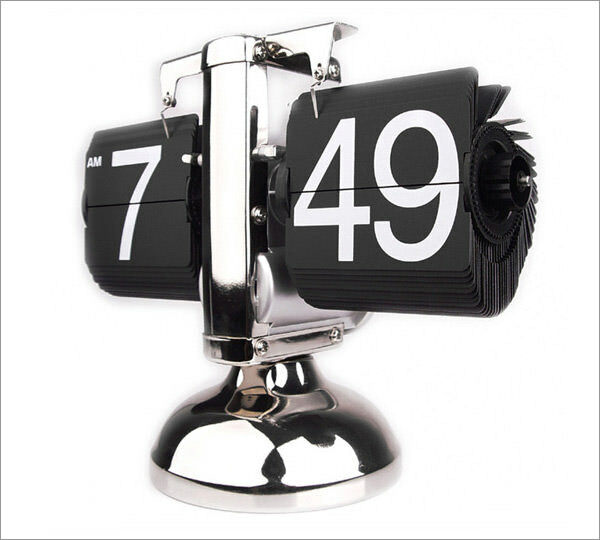 If you’re aiming for something small that could fit on your dad’s desk, then this flip clock might just do the trick. It works like a normal clock only the minutes and hours are on cards that flick as time goes by. Imagine a sports game scoreboard only a lot smaller and not as stressful to look at. It runs on a battery and it beats the mundane round-the-clock look. Oh gosh, imagine the possibilities with this one. These are great for designer/developer dads with a good, no, scratch that, great sense of humor. Fridges will no longer be boring in the house. This might drive your mom crazy but what better to support dad’s inclination to eat while he works than to get him a placemat for his meals. 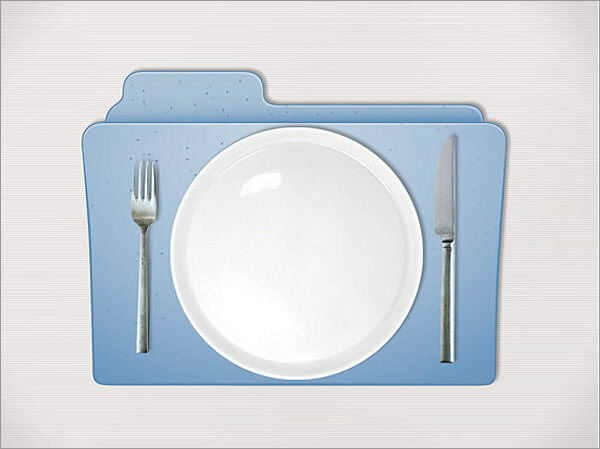 The folder design is also a nice feature he can be proud of. It isn’t his fault for always forgetting his wallet or his phone, or both whenever he leaves the house. 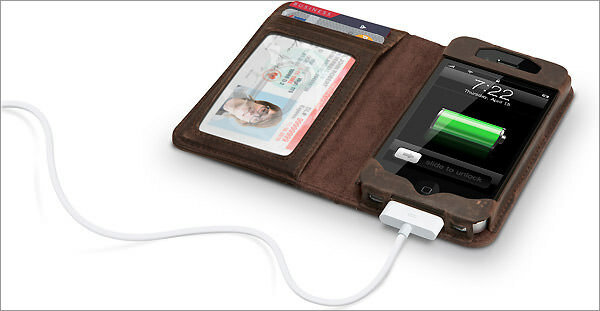 But what you can do is try to minimize his "Wait, I forgot my …" episodes with this BookBook wallet and iPhone case. Keep cash, IDs and cards on one side, and the iPhone safely on the other side. Now, you can actually ask your dad to miss call his wallet to find it! The classic old hardcover book design is also a plus for booklovers. It’s essentially a white stand that displays the time in large white numbers. 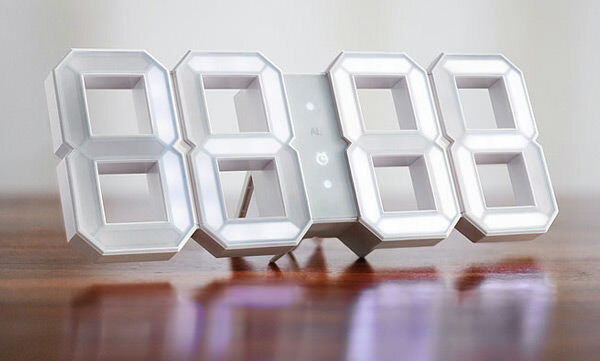 The 3D clock displays in 24-hour mode and you can sit it on your dad’s work desk, or hang it up in his bedroom or office. The lights work well in daylight and especialy well at night. If your dad has loads of gadgets but can’t remember to keep them all charged up before he leaves the house, then he will love this wrist charger. 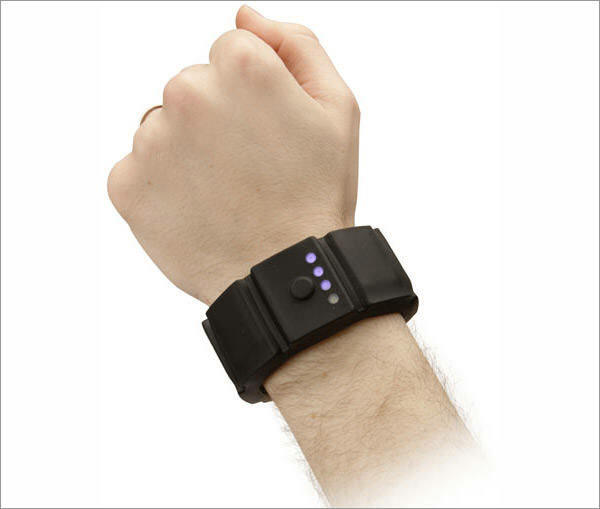 In fact, he can use his gadgets while it is being charged since the charger sits comfortably on his wrists. There are connectors for a variety of phones, the Kindle, the iPod and Sony PSP. Nothing beats a good time with your gadgets with an emergency battery pack. It’s here. The technology is still very new but it’s here, alright? The Leap is a small box that can fit in the palm of your hands which when calibrated allows you to work on your computer screen with hand gestures. Yes, it’s like Minority Report. Check out the video at the site for a demo on how this technology is going to rock your dad’s (and probably your) world.